One evening in June, 2010, my favorite clients gathered together to host a “re-creation” party for me at one of my clients restaurant, The Crabtree Kittle House in Chappaqua, NY. 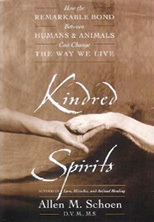 Here, I shared my new vision of creating a worldwide kindred spirits community based on the loving connection that we share with our animal companions and all animals in order to be of benefit to all beings. At the beginning of the evening I was presented with a surprise that left me totally speechless and touched me so deeply in the depths of my heart. 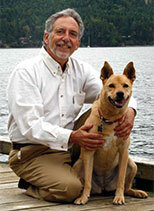 A friend and prominent singer/songwriter, Alex Forbes, had written a song about my work and my vision. The video of her singing her song at the party is in the media section of this blog. Many have asked to actually see the written words as well. 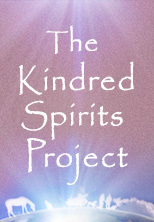 So, here are the words to the song that captures the spirit of my vision of the new kindred spirits project community. May they be a like a prayer flag sending blessings to all that hear the words!